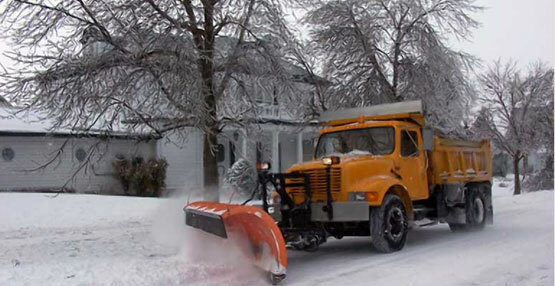 In cases of inclement weather or hazardous road conditions, the Riverview School District may run snow routes. Bus Routes when school will be in session. In order to assure the safest possible transportation due to inclement weather, the Riverview transportation department has developed bus routes to be used only in case of iced over and snow bound roads, and those roads that are impassible because of high water. Students must be carried to a location along these routes outlined by this policy. Continue to monitor this information in case of a route change. Bus #30 will run only on highway 367 from the Country Corner convenience store to the Hay’s store. Students that ride this bus or another bus and live off of highway 367 will ride this bus. Bus #37 will run highway 157 from highway 367 to Yankee Road and Yankee Road from highway 157 to highway 258 and return to Judsonia Elementary School. Students that live along that route will ride this bus (whether or not this is your regular bus). Bus #29 will pick up Brock Addition students at the corner of Forey Street highway 367. Bus #39 will run Madison Street and Eastline and return back to Judsonia Elementary School. Students along this route, including across the tracks in Depot Town must catch the bus on this route (this bus will not cross the railroad tracks). Bus #40 will run Hopkins Drive and C.W. Road and back to Judsonia Elementary School only. Bus #38 will run rocky Point Road, highway 258 and Missile Base Road. Students living along this route will meet the bus on these roads. Bus #11 will run Old Railroad and highway 323 to Cain Road and back to Kensett Elementary School. Students along this route must catch the bus on these roads. Bus #33 will run Bailey Road to Higginson, highway 11 to Griffithville, and highway 385 back to Kensett. Students along this route must catch the bus on these roads. Bus #28 will run highway 367 to Booth Road and back to Morning Sun, then highway 11 to Higginson, New Morrow Church Road to highway 385 and back to Kensett. Students along this route must catch the bus on these roads. Bus #34 will run highway 36 to Georgetown store and back to Kensett only. All students must catch the bus on highway 36. Bus #2 will Popular Street to Race Street to Rand Street and then highway 36 to MLK Street in Kensett and back to Doniphan. The bus will not leave highway 36 or Race Street. Bus #35 will run North Street and Buffalo Road only and back to Kensett Elementary School. Copyright © 2017 Riverview School District. All rights reserved.